2 layer board of 2.71 x 4.18 inches (68.8 x 106.2 mm). Uploaded: January 31st, 2019 02:11. This board receives RS485 signals via RJ485 ethernet jack. 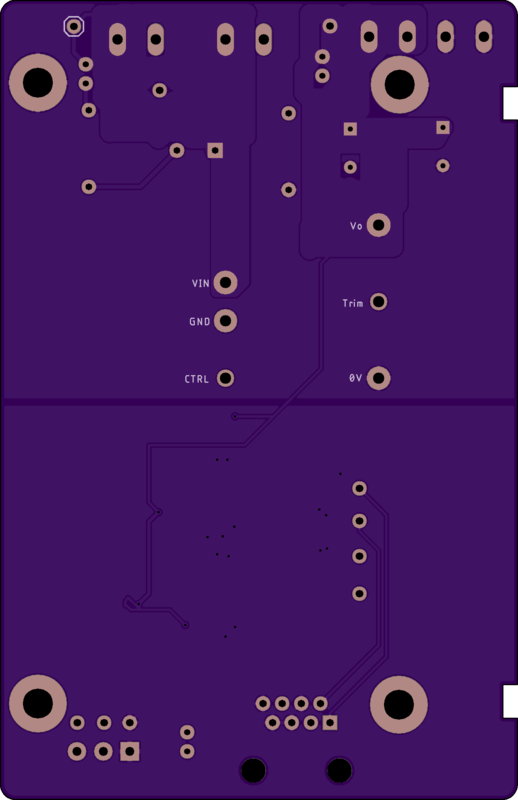 Converts the two differential pairs back into clock and data SPI signals for one LED panel. 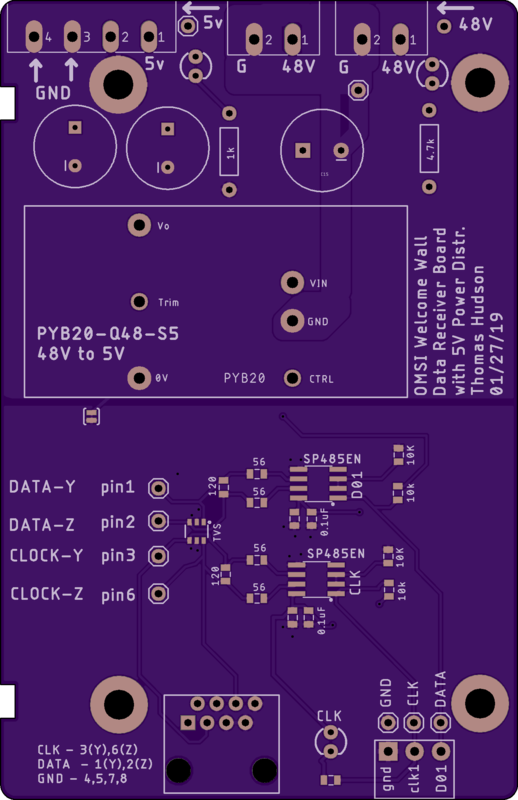 The board also has a DC-to-DC converter that takes 45V to 5V to supply to the LED panel.